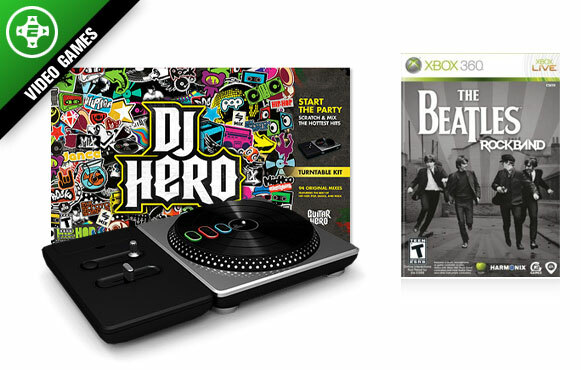 Music fans also are in for a treat this holiday as both "DJ Hero" and "The Beatles: Rock Band" offer new twists to the genre of plastic peripherals. "DJ Hero" lets you spin, scratch, cross-fade and beat match to more than 100 songs from artists such as Jay-Z and the Beastie Boys thanks to their cool turntable controller. Meanwhile, "The Beatles: Rock Band" offers everyone the chance to join the Fab Four and play along to such classics as "A Hard Day's Night" and "Can't Buy Me Love." And when you move past the (obvious) great soundtrack, it's the game's visuals that really leave the biggest impression as the cartoons and music videos that play as you sing along and pound those plastic drums are simply breathtaking.